The Tattoowall has recently found application in the field of restoration. 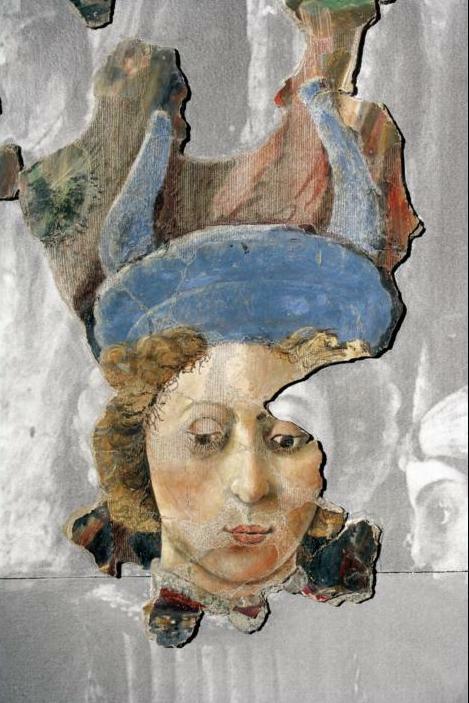 It is the only technique available worldwide that can faithfully reproduce lost or damaged frescoes. One of the most stunning examples of Tattoowall uses is the restoration of the frescoes in the Ovetari Chapel in Padova, Italy, by Andrea Montegna. The definition of a fresco is the art of painting on fresh, moist plaster with pigments dissolved in water. 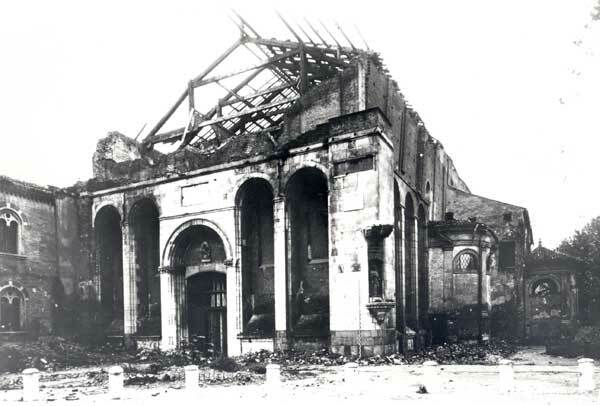 Bombed during the Second World War, the chapel and its frescoes were reduced to fragments (more than 80,000). The frescoes, completed in 1455, depict the Martyrdom of St. James and were a masterpiece by Renaissance painter Andrea Mantegna, and attracted large crowds to Padova before the bombing. (Montegna started painting this when he was only 17). With the help of innovative multimedia equipment, the fragments were classified one by one, then scanned and measured. The tiny, shattered pieces were then reassembled in the most gigantic puzzle of art history. 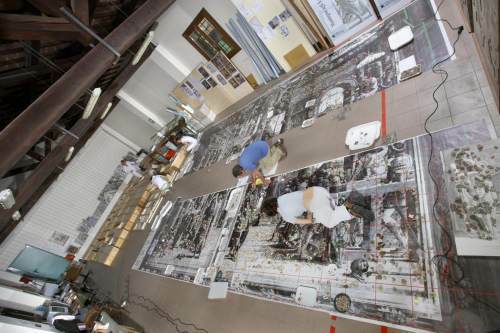 Reconstructed in virtual form, via computer techniques of image recognition, the huge puzzle was represented by more than eighty thousand fragments of frescoes. 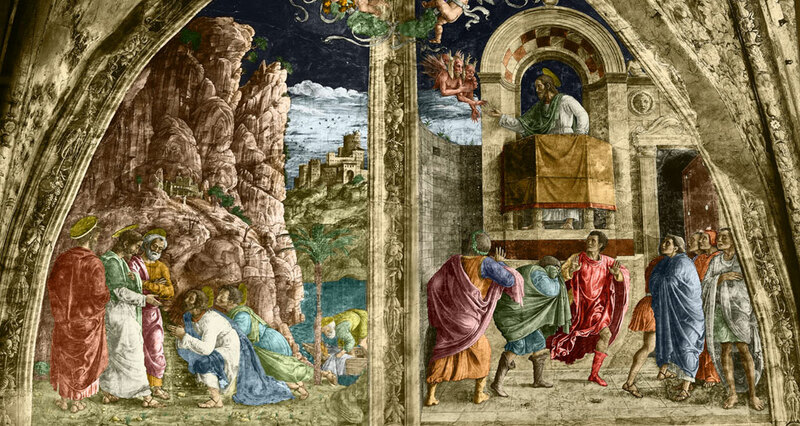 This masterpiece of Venetian Renaissance art is also evidence of the artistic personality and innovative genius of a young Andrea Mantegna. The restoration work was a collaborative effort between Italy and Serbia. 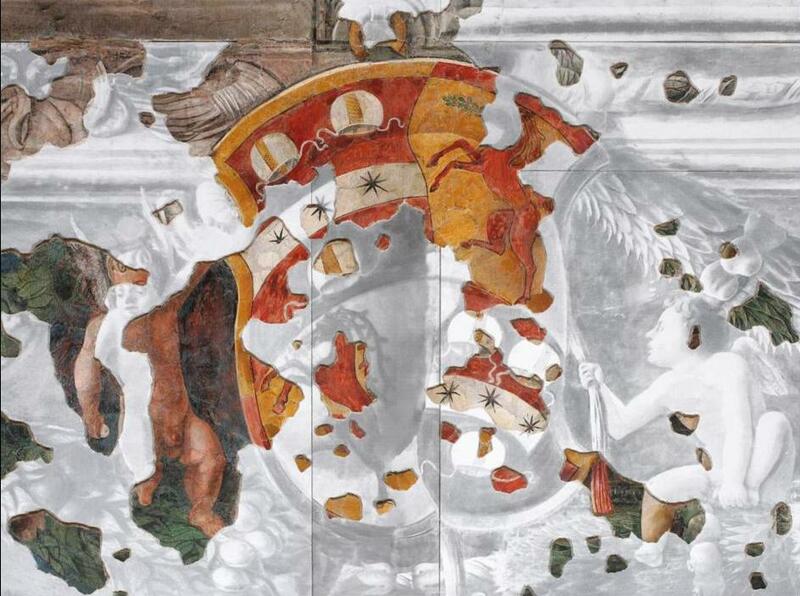 The Tattoowall was used by the experts, graphic designers and artists to perfectly reproduce the original fresco. The work was begun in 2006.